Click here to read “Experience the Quality” from Invest in us. 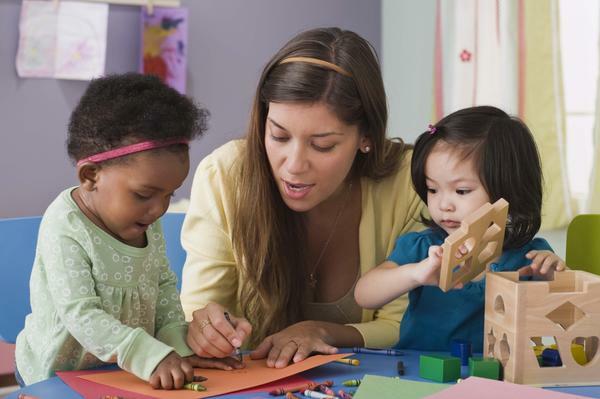 MECC recognizes how hard early care and education professionals work to provide high-quality early environments for young children, and we’re committed to help you do this. Just as you provide individual supports for children to meet their needs, we provide individual supports for you to help you implement what you learn in courses and trainings, be successful with all children, and feel better about your work. One of the most important ways we do this is through coaching. Practice-based coaching helps both educators and kids. Educators become more effective at implementing new teaching practices and strategies, using positive behavior support strategies for challenging behavior, and interacting with children in new ways. They also develop new attitudes about the importance of their role, which reduces stress and increases job satisfaction. Kids benefit when their teachers are coached, too: among other things, they show increased engagement and social skills, decreased behavioral challenges, and increased language and literacy skills. Click here to read more. School Readiness Quality Improvement Coaching: Many of you have worked with our School Readiness Quality Improvement coaches to prepare for and achieve your Qualistar ratings. Sahara Thurston provides consultation, coaching modeling, and training for early childhood settings participating in SRQIP. Contact her for more information about how she can support you. Geof Byerly is our newest coach. He works with teachers to help them understand and work with kids who are experiencing behavior challenges. Geof will also be helping teachers and directors improve quality through data obtained from the Environmental Rating Scales for infants and toddlers, preschools, and family child care homes. For participants who’ve taken EQIT, Lindsay Havran and Mary Dodd provide up to 8 hours of coaching based on the RELATE Reflections for the modules. All coaching is strengths-based. MECC’s coaches have had advanced training, practice, and experience in the principles of coaching. They are eager to work with you. We think you’ll find this free resource a great tool for strengthening your skills and getting support for your work.